Yesterday we had a guest presentation by Jari Kleimola. 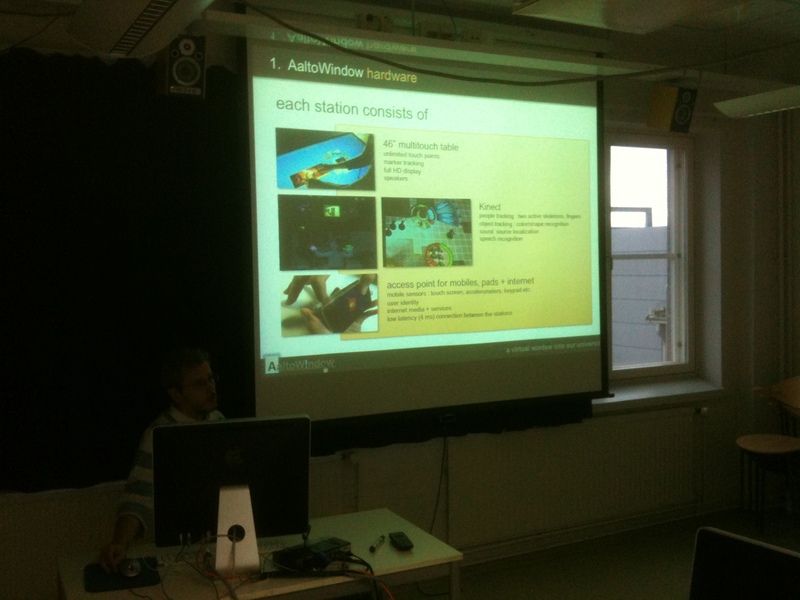 Jari made a very interesting contextualization on Natural User Interaction, multitouch, and interactive tables, focusing on the project AaltoWindow. Students are welcome to use the AaltoWindow network of interactive tables and interactive environment to develop their own projects. The presentation is below. 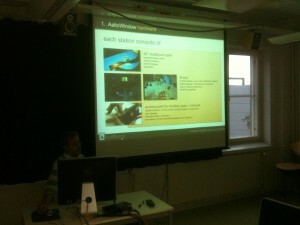 This entry was posted in Courses, Multitouch Interaction 2011. Bookmark the permalink.